ETHERNET and TCP/IP are key technologies for next generation of distributed process automation and control networks and managing these networks is crucial and a key to success. Talking about management is talking about SNMP (Simple Network Management Protocol). With our effective and economically priced solutions you can easily monitor and control your automation network. 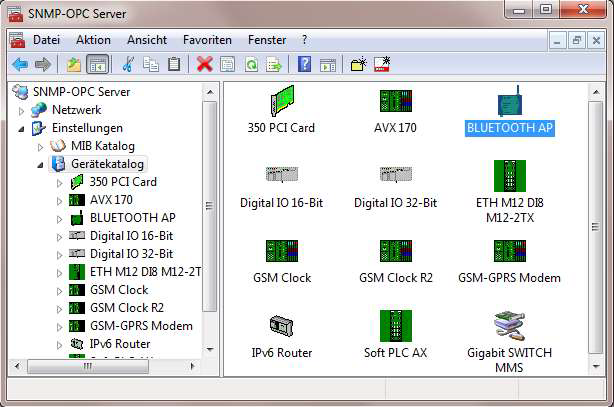 to keep an eye on your Industrial Automation Network. Today modern automation solutions depend, more than ever, on reliable communication networks. Often, if just one part of the network infrastructure fails the whole automation solution will be in jeopardy and cause costly production downtimes! Monitor automation solutions from a central point of administration. You are already managing your IT systems, databases and applications with a centralized Network Management System, however your buildings, your plant floor machinery and your remote facilities aren't still integrated?